Motivation Monday – a little inspiration to start your week on a good path. Please share your Motivation Monday link in comments. Or share a motivational quote. We’ll visit your blog and leave a comment. 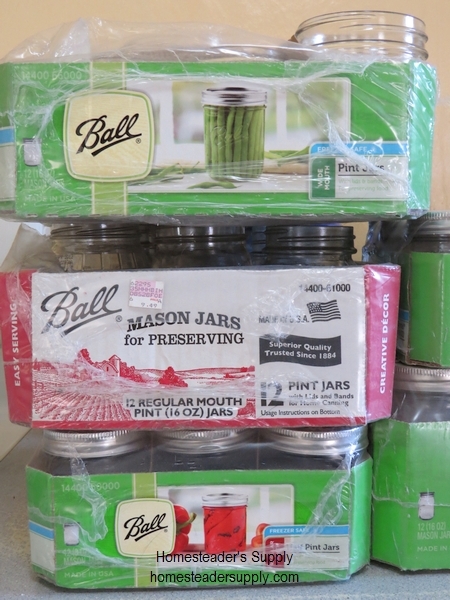 A little inspiration was needed to get the strawberry patch weeded and mulched so I counted the empty canning jars to be sure I have enough for jam. If I don’t get that patch tended to I won’t have enough berries for all I want to put up. This entry was posted in Canning, Homesteading, Motivation Monday and tagged Motivation Monday on June 9, 2014 by Homesteader's Supply. – a little inspiration to start your week on a good path. Please share your Motivation Monday link in comments. Or share a motivational quote. We’ll visit your blog and leave a comment. This entry was posted in Motivation Monday and tagged Motivation Monday on June 2, 2014 by Homesteader's Supply.